On the market just a few months and it has already shown up at Syncro System branches ready for an upfit – we're talking about the new Custom Ford, a mid-size van from the Ford automobile manufacturer that is well suited for made-to-order upfits with the versatile racking systems for commercial vehicles by the Syncro Group. This van fills what had been a gap in the range of vans and trucks Ford offered. 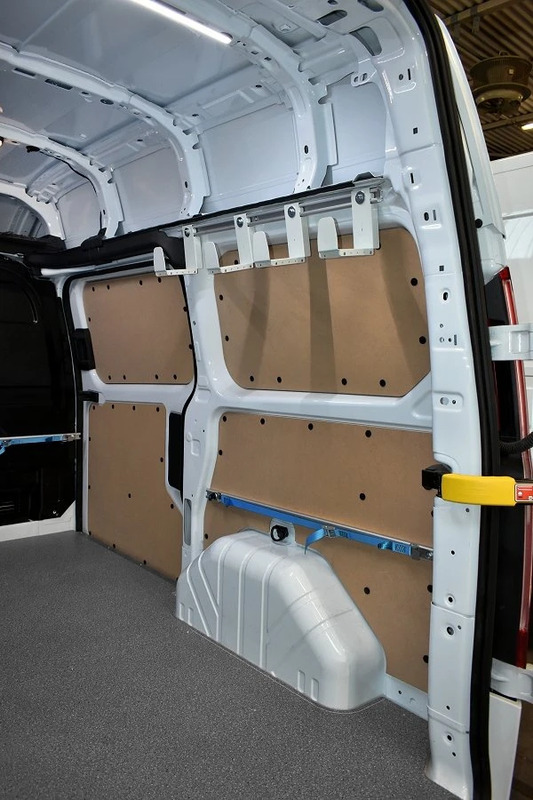 The Custom provides potential European buyers with a mid-size van at a moderate cost. In fact, its forward-thinking features have already earned it the title of Van of the Year 2013. There are various models: the commercial version can come with three seats, double cabin with six seats, or in mixed combinations of up to nine seats. All cab combinations can be found in both the short and long wheelbase models. 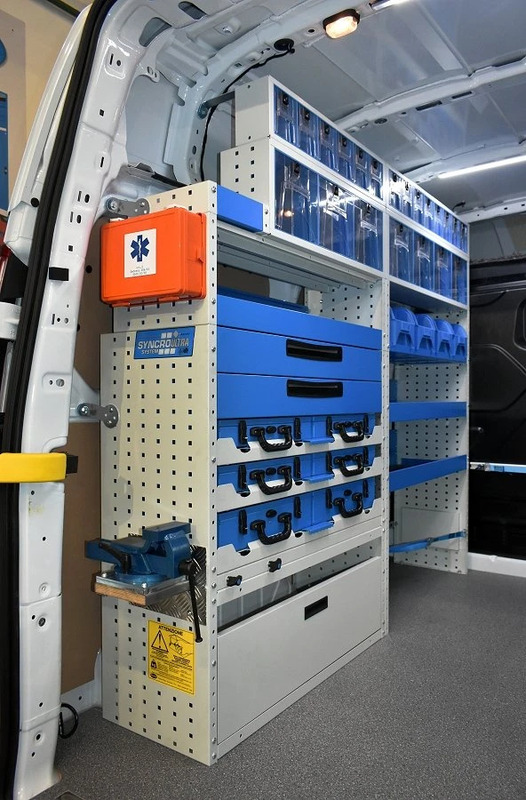 As you can see from the photos, the Custom has a spacious cargo area and its simple lines lend itself to the installation of the Syncro racking systems: shelving and drawer units. In this photo, we put down a floor panel in durable coated plywood, protecting the floor from damages caused by bangs and dents while moving cargo in and out. 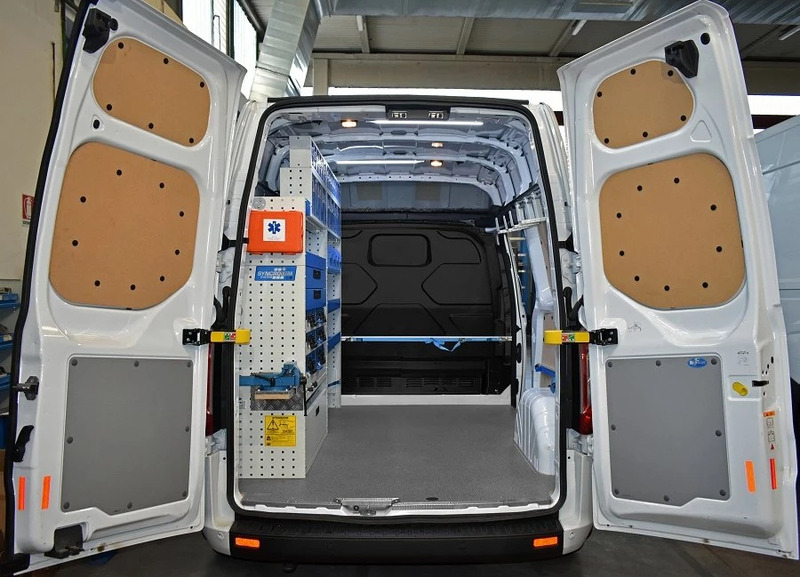 Syncro System offers its clients a choice of floor panels: plywood with special anti-slip surface or chequered plate aluminum – both cut to size to fit any model of van. 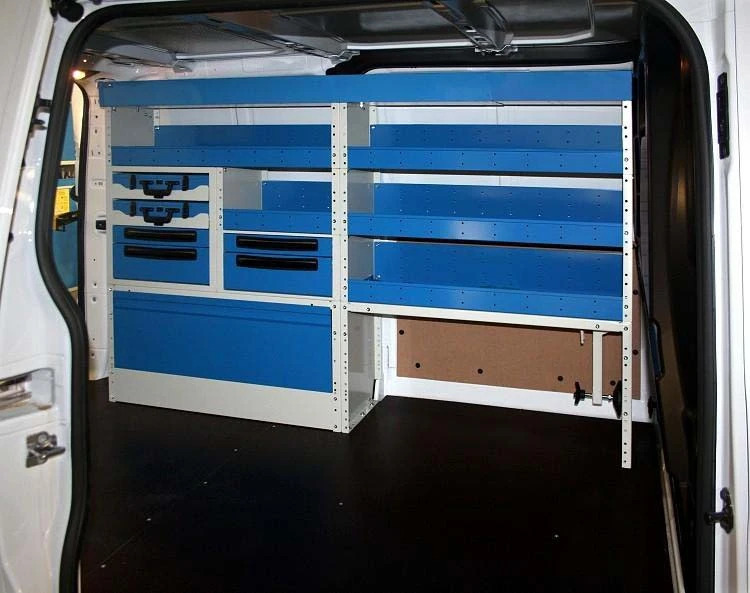 As requested by the customer, the Syncro installers positioned the racking module components only on the left side. The base of the racking unit consists of two wheel arch frames: one open with the Syncro carrying case storage and locking system, and the other closed with a hinged door. 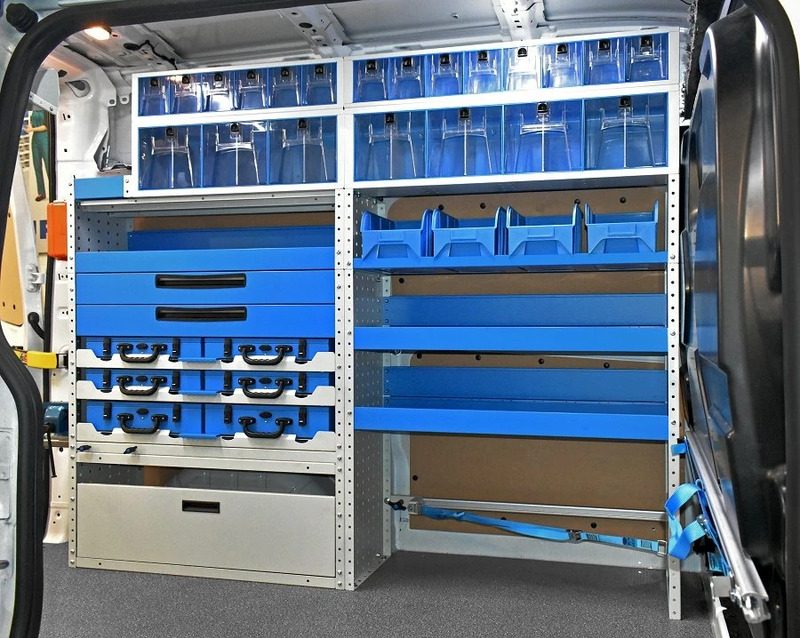 The middle part of the racking unit is composed of a shelving unit with automatic locking drawers, and two pull-out storage trays that fit the Syncro portable utility cases. At the top, we mounted a long tray with raised sides and with an end flap that locks for safely transporting long objects, like piping or rods.